Moving can be a stressful endeavour at the best of times – and it can also be costly. Kerri Nettles wants to help you minimize those costs. OCEAN SPRINGS, MISSISSIPPI, UNITED STATES, January 17, 2019 /EINPresswire.com/ — Nobody likes moving. It’s exhausting, time-consuming and can end up being very expensive. The last thing that anyone wants to think about when packing and hauling their entire lives to a new location is the mounting bill that goes hand in hand with a poorly planned move. With that in mind, real estate expert Kerri Nettles wants to help you discover a number of different ways of keeping the costs low when moving house. That way, you won’t have to worry about money and instead can focus solely on how you’re going to get that piano up the stairs! “Like any industry, moving has a peak and an off-peak season.” Kerri Nettles says. “If you want to save yourself not only money, but stress, too, then moving in a quieter season is definitely the way forward.” Demand tends to be higher in summer when kids are out of school and parents are desperate to move into a new location before the academic year starts, so if this was your thinking then perhaps try move in the fall or even winter. “Movers are expensive.” Kerri Nettles says. 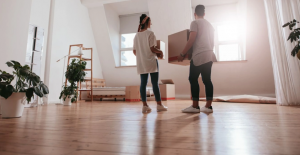 “If you’re up to the challenge and have some time on your hands, you can save a substantial amount of money by moving yourself.” Of course, this is easier said than done; moving house is a huge undertaking. You’ll need not only time, but the correct tools such as trolleys, ladders and a decent-sized truck too. Need an army of movers for a good price and at very short notice? Why not enlist your friends? For the cost of a case of beer and a couple of pizzas, you could move your entire house in one weekend with the help of your nearest and dearest. The one thing to keep in mind, Kerri Nettles insists, is that you’ll definitely owe them a move in the future. Do a spring clean before you move. There’s no sense sweating and hauling heavy packages of things you don’t need. Having extraneous things will only slow you down, so ensure that you get rid of everything that you have absolutely no use for.